Supplier diversity has significant and measurable long term business benefits – the data clearly indicates that diverse supply chains are more sustainable, flexible and innovative. But more importantly, supplier diversity is designed to harness planned and budgeted procurement spend and redirect it to traditionally under-represented businesses where it can create greater social good. Supply Nation membership can be a catalyst for growth in your organisation as your procurement team unlocks the potential and value of including Indigenous businesses in the supply chain. Supply Nation’s Indigenous Business Direct is the biggest database of verified Indigenous businesses in Australia, so it’s easy to find a business that can provide the product or service you need. As a not-for-profit, you understand the importance of leveraging dollars to ensure the greatest possible benefit from the least possible spend – so if you can spend the same amount and create up to four times the social return, that seems like a smart investment. Supply Nation research shows that for every dollar of revenue, Certified Suppliers produce $4.41 in social return. So spending with Indigenous businesses creates exponential benefits for your organisation and for the wider community! Access to the Supply Nation member logo for use on RAPs, marketing materials, websites, email auto-signatures, tender documentation etc. Supply Nation runs events all year to provide members with learning and networking opportunities. Through our dedicated Relationship Management team, we actively listen to the needs of our members. Our bite-sized training series is held around Australia with topics addressing current challenges and best practices to embed supplier diversity into your supply chain. These 2-3 hour sessions are open to all members, and are complimentary for up to 2 attendees per organisation. 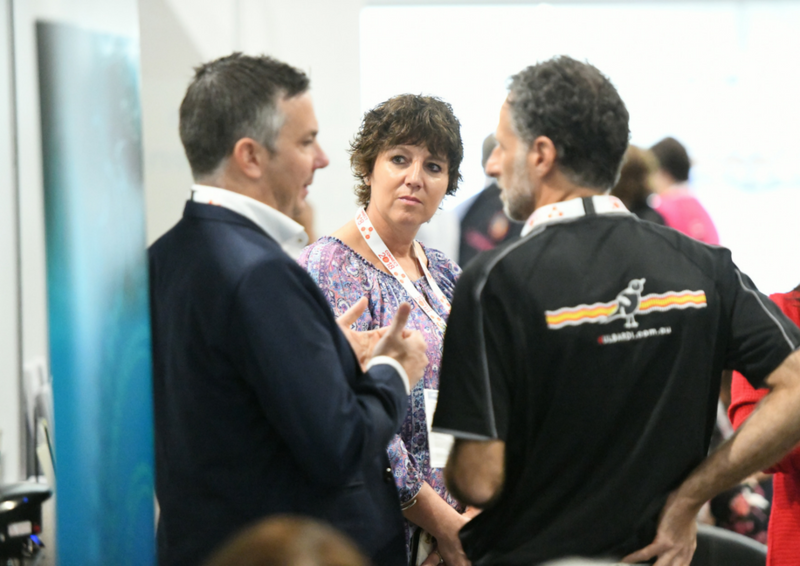 Throughout the year, Supply Nation and our partners hold trade fairs, networking event and opportunity briefings to which our members and suppliers are invited. We typically include these invitations within our monthly newsletter communications. As a not-for-profit, you are committed to creating a better Australia. Leveraging your procurement spend to create positive social change makes sense, and Supply Nation membership will help you develop sustainable supplier diversity programs.